Thanks to @KerriAitken for this art piece! We also only use abilities and spells that take effect during a PC’s turn, so no reactions or spells like Conjure Animals, and we limit equipment to the items usually used by a specific PC (i.e. Vax gets the Boots of Haste, Grog gets the Titanstone Knuckles, etc). Finally, since we only know Vax's and Keyleth's level 20 classes for sure (both Druid), we're assuming those with no multiclass didn't multiclass, Grog took a 17th level of barbarian, and Vex took a 7th level of rogue. Thanks to @6inferno9 for this art piece! Once again, Keyleth is hurt by spell options. Druids are built more for crowd control than single target damage, and unlike clerics, they don’t have the ability to cast Inflict Wounds. They do, however, have access to Shapechange, which not only improves with the caster level, but with the high-level creatures they encounter in their travels. Last time, Keyleth’s best option was a Beholder. The trip to Pelor’s fortress in the Plane of Elysium introduced her to Planetars, which manage to edge out the CR 20 ancient white and brass dragons and the Pit Fiend. Update: Upon further review, it was pointed out to us that a charging Goristro can deal a total of 287 (14d10*2 +7). This still places her at the bottom of the single-target damage list, but does bring her within two points of Pike. Thanks to @TessFowler for this art piece! High-level clerics just aren’t meant to deal out single-target damage, unfortunately. Most of Pike’s abilities from War Domain buff attack rolls or increase her ability to tank, and like Keyleth, most of her damage spells are area-of-effect and/or don’t double with a crit. The notable exception here, however, is Inflict Wounds. Thanks to @ericmartinDOOD for this art piece! Formerly, Scanlan was limited by his selection of bard spells, which, much like druid or cleric spells, are intended as area-of-effect or buff/debuff spells. 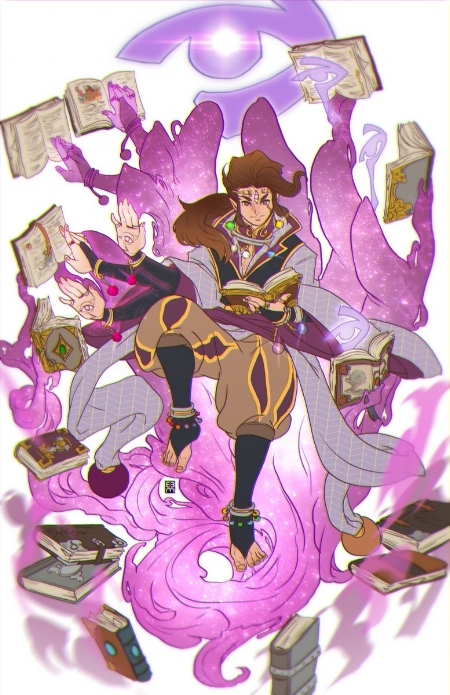 However, at level 19, his magical secrets choice gave him access to Wish, which allows him to cast any spell in the game, as long as it’s 8th level or below. This spell is cast at 9th level, and ignores all material components and casting time restrictions. His best option for this is to borrow the cleric spell Inflict Wounds, and rely on a Bigby’s Hand cast in a previous round. Note: As we've seen, Simulacrum effectively grants him the ability to cast double the spells he would normally cast in a round. However, since the simulacrum acts on its own and has its own initiative, we exclude it from this, as it’s essentially acting over two separate turns. Thanks to @iDrawBagman for this art piece! Vax’s deal/choice to serve the Raven Queen wasn’t just a compelling story; it came with some pretty sweet damage upgrades for the higher levels. Both rogues and paladins are designed for single-target damage, and the combination, as we've seen, can be pretty powerful (Angel of Death isn’t much of an exaggeration). The level of druid winds up being more valuable for story and inducing Critter tears than increasing damage here, as most level 1 druid spells are more utility or buff/debuff spells than single-target damage. Side Note on Spellcaster Multiclassing: As per the PHB, Vax has an effective caster level of 4, which gets him four 1st level spell slots and three 2nd level spell slots per day. Each day, he can prepare four paladin spells of either 1st or 2nd level and three druid spells of 1st level, and he permanently gets 2 druid cantrips (one of which we know is Druidcraft). Thanks to @TriaElf9 for this art piece! The original Beastmaster ranger archetype is notoriously underpowered. However, Vex has managed to work around this through a combination of multiclassing and generous DM homebrews. Rangers are good at single-target attacks, and the rogue’s sneak attack combined with an animal companion makes for a pretty potent combination. Vex comes in third in this list, just ahead of her brother. Thanks to @Bill_Wash for this art piece! A level 20 Grog is, quite frankly, terrifying. Not only is his strength insanely high, he gets brutal critical dice, superiority dice, enlarge dice, rage damage, an extra attack, a bonus action attack, and an action surge. The only surprising thing about Grog being second-place in damage is that he’s not first place. Thanks to @EldritchCupcake for this art piece! The only reason Grog isn’t in first place for max damage is Percival de Broken the Third (hey, maybe that’s what the Raven Queen meant!). Yes, there is considerable risk with the Gunslinger archetype in that misfires break guns and, in the case of Animus, cause damage to their wielder, but the damage payoff is high, especially combined with a level 20 fighter’s four attacks per action and the gunslinger’s Quick Draw and Lightning Reload abilities.